There are many beautiful destinations all over Greece where visitors can enjoy perfect holidays. From the famous city of Athens, to the whitewashed Greek islands, visitors will be spoilt for choice when planning their holidays to Greece. One destination that provides perfect holidays is the stunning Pelion peninsula. Located on the east coast of Central Greece, the Pelion peninsula is the perfect combination of sea, mountain and natural beauty, providing a setting unlike any other. Whatever type of holiday you are looking for, whether it will be one of pure peace and relaxation, or one of action and adventure, mount Pelion has something for everyone. 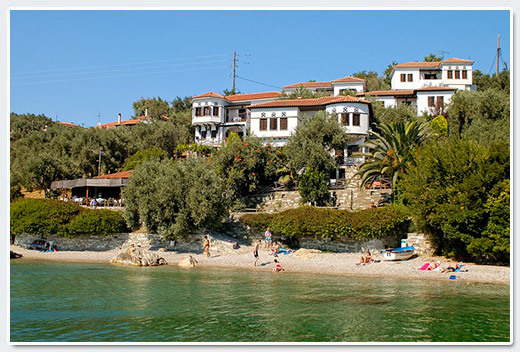 What makes Pelion so different from other destinations in Greece is that it is ideal for visiting throughout the year. From the snow-covered mountains during the winter, to the soft sandy beaches and crystal waters in the summer, Pelion awaits your imminent arrival. The "Diplomats' Holidays" hotel is located in Pelion, the land of the mythical centaurs. Here we operate a wonderful complex of rooms and apartments for your stay in the majestic Pelion peninsula. 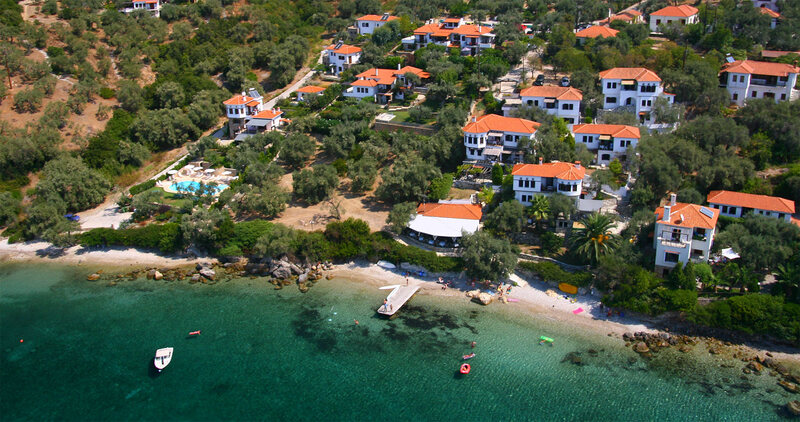 We are located 65km from the National New Anchialos airport (Volos) and 46km from the city center of Volos. We are just 1km away from the Horto village, 3km away from the village of Milina and 6km from the village of Argalasti. The distance from the International airport ‘Makedonia’ airport (Thessaloniki airport) is 270km while the ‘Athens International Airport Eleftherios Venizelos’ (Athens) is 350km away. In the beautiful coastal resort of Horto, the "Diplomats' Holidays" hotel is perfectly located to offer you a comfortable and relaxing accommodation, in a truly picturesque part of the Pelion mountain. Operating from April through to October, "Diplomats' Holidays" is the ideal choice for your summer holidays and travel to Pelion. During your stay, you can enjoy a wide range of activities such as tennis, water sports, yoga and pilates. Above it's own beach we offer a great selection of fully equipped studios and apartments, a swimming pool, a bar/restaurant and a private parking. Free Wi-fi internet access is provided in public areas within the Diplomats’ Holidays complex. • Reception open for 16 hours, with 24 hours internal or external telephone access. We sincerely look forward to welcoming you here in Pelion soon, and introduce you to the magic, beauty and unique charm of this delightful peninsula that we so proudly call home.